Enjoy candlelight dinners or take a break from the summer sun in this handsome gazebo outdoor living structure. 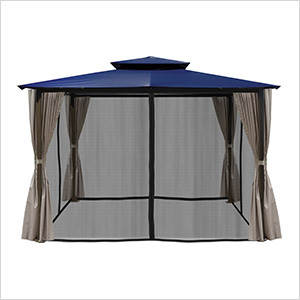 More and more of us are turning back and side yards into outdoor living spaces which act as extensions to our homes and our lifestyles, and having a covered area adds beauty, style, and function to those spaces and your home. 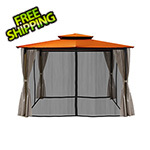 Includes mosquito netting and privacy panels.